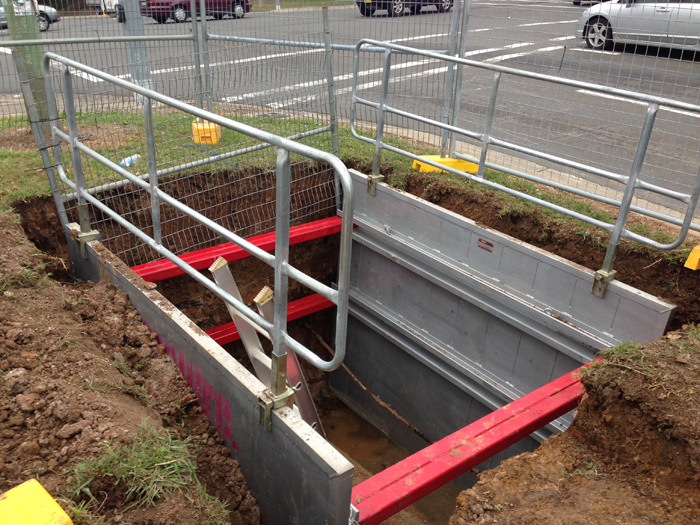 Aluminium trench shields are a lightweight, high-strength shoring solution for plumbers, drainers and pipelayers on a range of maintenance, utility and construction jobs using smaller excavators, or where lifting constraints don’t allow steel trench boxes to be used. Though lightweight, these reliable shields provide sturdy and effective support in trenches with three and four sides, and provide more under-strut clearance than has been possible previously. 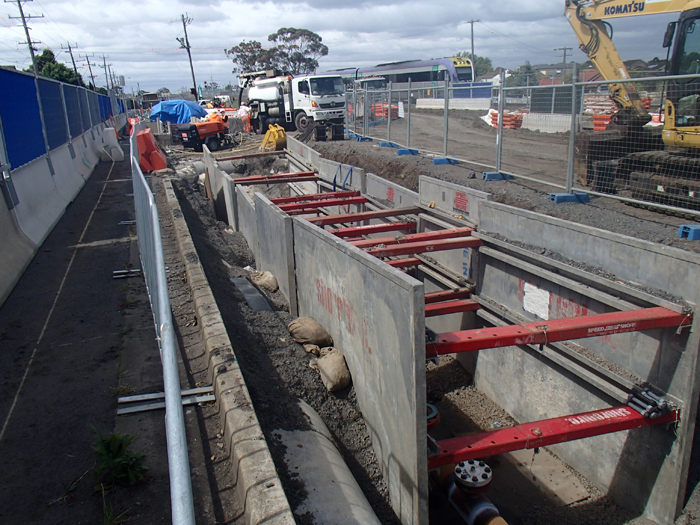 Designed to ensure maximum personal safety, aluminium shoring shields are fast to set up and disassemble, using quick-connect pins and fittings. These popular shields are constructed from high-strength alloys with extruded sections providing dependable solid-wall security. A most important advantage of using aluminium shields for suitable jobs is their convenience in portability due to an innovative design. Heavy-duty lifting ‘eyes’ allow easy handling during installation and removal. Static steel struts allow quick width adjustments when positioning the shields or moving them to new locations as work progresses. Smooth wall panelling reduces friction on removal and during packing and storing.